I met a Baroness! 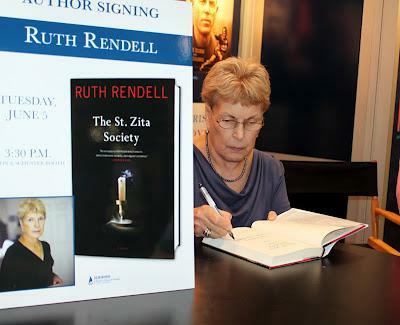 Three time Edgar Award-winning mystery writer the Baroness Ruth Rendell, was on site to autograph copies of her newest thrilling mystery, "The St. Zita Society" - a suspense-filled novel on the life of the residents and servants of Hexam Place. 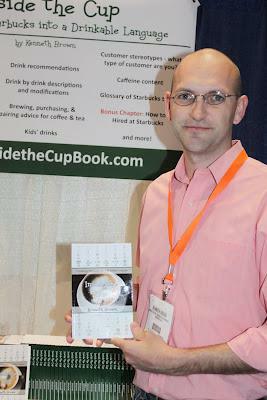 The Starbucks Book - former Starbucks Manager, Kenneth Brown, has introduced the perfect guide to understanding all things Starbucks called "Inside the Cup". Find out what kind of Starbucks customer you are, modifying your beverages, find out what exactly is a Macchiato, how to order your Starbucks and of course working at Starbucks. Check it out at www.InsidetheCupBook.com. Amazon Publishing introduced the new paperback from Award Winning Author, Alexis Harrington, called "Home by Morning". Harrington is most known for the international bestseller, The Irish Bride. Home by Morning tells the story of Jessica Layton who left her small town home and the love of her life to pursue her dreams. Fans of the Sh*t Girl Say videos from Graydon Sheppard and Kyle Humphrey will soon be able to enjoy the hilarious tweets in picture book and e-book form. 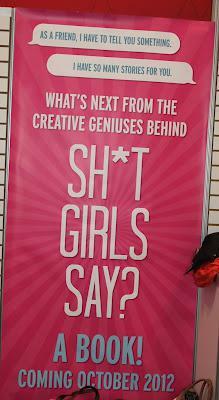 Get ready to enjoy the "Sh*t Girls Say" Picture Book. Expect to see fun phrases like "I kind of want a hot dog" written out in ketchup or "Should I get bangs?" in trimmed hair. You'll be able to enjoy this hilarious book in October, until then, the videos are always available. 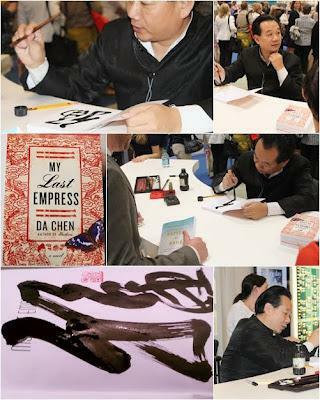 I wasn't familiar with Author, Da Chen, but seeing him autograph his new book, "My Last Empress" stopped me in my tracks. 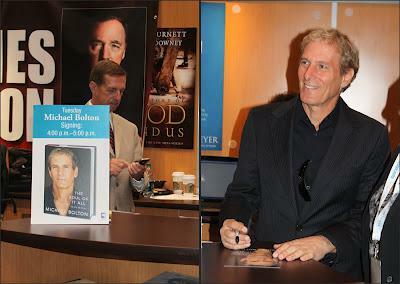 Imagine how incredible the book is if his autograph has this much flourish. Unfortunately, I didn't get a chance to get a copy or an autograph but hopefully will get one soon. 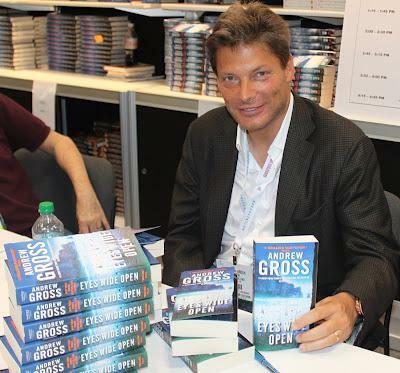 My last stop was check out the newest bone chilling thriller, "Eyes Wide Open" from New York Times bestseller, Andrew Gross. A psychological thriller about two brothers who try to uncover the suspicious death of one's son.